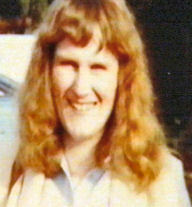 Jenny Randles, one of the most industrious and respected of all UFO investigators. Jenny Randles investigating the Rendlesham Forest Incident. Jenny Randles (Without doubt, one of the U.K.'s foremost UFO investigators) discusses various aspects of the incidents at Rendlesham Forest. Regarded by some as the U.K. Roswell, the incident at Rendlesham Forest which involved members of the U.S. Air Force at a base in Suffolk is still the cause of much interest and controversy. Despite the fact that the Deputy Commanding Officer of the base - Lt. Col. Charles Halt [ left ] insists that there was an event there that involved a UFO and the fact that he actually made tape recordings as the event took place , the U.S.A.F. and the M.O.D. denied the episode for several years. Extracts from the actual [ enhanced ]audio recording made at the time of The Rendlesham Forest Incident. Charles Halt recalls his experiences during the Rendlesham Forest Incidents including his description of what happened when the U.S. servicemen came across a UFO in the forest. Charles Halt - retired deputy commander of the U.S. Base at Rendlesham. The base at Rendlesham - was it visited by UFOs? 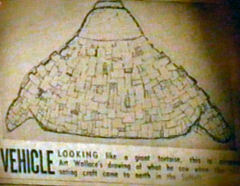 The Rendlesham UFO as described in the newspapers of the time. In 1983 an American research group obtained a memorandum (composed by Col. Halt) through the U.S. Freedom of Information Act . This memo describes how UFOs penetrated the area around a NATO base which deployed nuclear weapons. Despite many questions being asked in the House of Lords by Lord Hill Norton (Admiral of the Fleet and former Chief of Defense Staff) and more evidence such as high radiation readings at the scene etc..... the M.O.D. has continually denied that anything of interest happened. For the past twenty years researchers have persisted in their investigations and recently Georgina Bruni has produced a book called "You cant tell the People". The title coming from a conversation the author had with former Prime Minister Margaret Thatcher when she told the author that she must get her facts right concerning UFOs but she couldn't tell the people. Despite the apparent lack of interest shown by the M.O.D. etc it is interesting to note that in reply to questions posed by Lord Hill Norton , Baroness Symons of Vernham Dean informed that the M.O.D. had alerted the American 3rd Air Force Headquarters at R.A.F. Mildenhall of the book. Surely if the M.O.D. find it necessary to alert the Americans there can be little doubt that the incident is of defense significance. The Rendlesham Forest Incident What Happened? 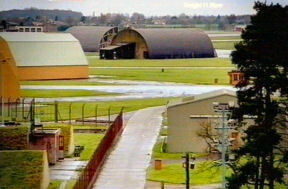 In 1980 two air bases owned by the RAF, namely RAF/U.S.A.F Bentwaters and RAF/U.S.A.F Woodbridge were leased to the U.S. Air Force and reputedly held the largest stockpile of tactical nuclear weapons in non-communist Europe. Woodbridge was also the home of the 67th Aerospace Rescue and Recovery Squadron - a unit that reported directly to the U.S. Department of Defense in Washington. At approximately 2-00a.m. on the 27th December 1980,an unidentified object was picked up by radar at RAF Watton in Norfolk (UK). The object went off the screen in the area of Rendlesham Forest in Suffolk. 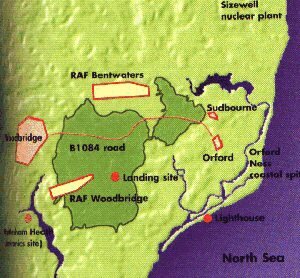 RAF/U.S.A.F Bentwaters also tracked the unidentified object - Bentwaters being in the direct vicinity of Rendlesham Forest. At approximately 3-00a.m. two U.S.A.F security guards observed unusual lights outside the back gate of RAF Woodbridge and three patrolmen were sent to investigate. These three men reported seeing a strange , glowing object seemingly of metallic appearance and of a triangular shape. They reported it being approximately two to three meters across the base and two meters tall, giving off a bright white light which illuminated the entire forest. Also it had a pulsing red light on top and a bank of blue lights underneath - it was hovering but apparently had legs. When the men approached the object it maneuvered through the forest and out of view, to be briefly seen again an hour or so later near the back gate. Staff Seargent Jim Penistone [left ] later reported: " The air was filled with electricity .You could feel it on your skin as we approached the object. On the upper left side of the craft was an inscription. It measured six inches high, of symbols. They looked familiar, but I couldn't ascertain why". Examination of the area the next day revealed that the object had left three depressions on the ground and a radiation check showed readings ten times that normally expected - especially where the object had landed. Later that night a bright pulsing red light was seen maneuvering in the forest, eventually breaking into five white objects which disappeared. Several objects were then seen in the sky , moving rapidly and showing red , green and blue lights - some of the objects were visible for an hour or more. Airman John Burroughs [ right ] was with Staff Sergeant Jim Penistone at the time of the incident. Burroughs later described the lights that he saw as: "Like the lights in a Christmas display - it felt like you were moving in slow motion!". Indeed it was later reported by some that the base commander, Colonel Gordon Williams , communicated directly with the occupants of the unidentified craft. Lt. Charles Colonel Halt ,Deputy Base Commander at Woodbridge, had insisted that the first night's events be ent ered in the security police log but the second night's event tore him away from his dinner. Armed with a tape recorder, Lt. Colonel Halt and a number of other servicemen witnessed the events as they unfolded - a detailed tape recording being made. A full report dated 13th January 1981 was sent to the British Ministry of Defense by Lt. Colonel Halt. The M.O.D. 's ultimate response was : "The department satisfied itself at the time that there was no reason to consider that the alleged sighting had any defense significance." Various theories have been put forward to explain the Rendlesham Forest events including the idea that the lights were caused by a lighthouse on the coast - this theory is unfounded when the geography and topography of the area is examined. Another convoluted theory put forward by a skeptic (Channel 4 Television 10th April 2002), endeavoring to link the events to a craft (of some description) being carried by helicopters in the U.S. at about the same time, only illustrates the depths that "so-called educated skeptics" will sink to in order to enforce their opinions. One fact is certain - whatever happened it was witnessed by military personnel and it was later revealed that civilians living in the area also were witnesses , at least to some extent. Larry Warren [left] indicates the spot where he observed a UFO emerge from mist. "As my mind tried to register what I was looking at, the ball of light exploded in a blinding flash. Shards of light and particles fell onto the fog. Several cops ran into the woods. I couldn't move; I tried to cover my eyes, but it was too late. Why I didn't run, I don't know. But now, right in front of me was a machine occupying the spot where the fog had been"
Larry Warren was a member of the US Air Force Security Police stationed at an American base on British soil. He was taken from his guard post to investigate strange lights in a forest clearing near the base. Here he and other enlisted men and officers confronted an alien craft on the ground. 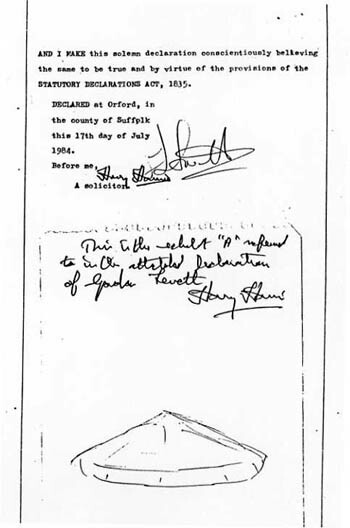 Even the base deputy commander has come forward to verify some of the details in this case, making it one of the most talked about UFO cases of all time--a real British Roswell. Peter Robbins [ right ] is an American writer and researcher who works with Budd Hopkins (famous for his research into the alien abduction phenomenon). 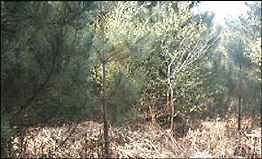 Peter investigated the case for nine years and is convinced that there is much we have not been told by either the UK or US governments about what happened in that Suffolk forest in December 1980. Admiral Lord Hill-Norton , former chief of the British Defense Staff stated:" I have no doubt that some thing landed at this U.S. Air Force base and I have no doubt that it has got the people concerned in to a considerable state. The Ministry of Defense has doggedly stuck to it's normal line, that nothing of defense interest took place. Either large numbers of people , including the commanding general at Bentwaters, were hallucinating, and for an American Air Force nuclear base , this is extremely dangerous - or what they say did happen. In either of these circumstances, there can be only one answer - that it was of extreme defense interest to the U.K."
.Admiral Lord Hill-Norton - a high ranking military figure who has persistently sought the truth about the events at Rendlesham Forest. and click on "Freedom of Information Act 2000". Then click on "Search for Information", and enter the phrase "UFO". Abraham said the Ministry of Defence (M.O.D) broke open government rules three times in recent months over cases including the Rendlesham Forest UFO scare. Complaints about the MoD's refusal to list countries prioritised for arms sales or reveal details of an armed services survey were also up-held. Former defence minister Peter Kilfoyle said the examples outlined in the report on the Ombudsman's work between May and October were symptomatic of a "culture of secrecy" in the M.O.D. While the actual documents had not been released, the details were widely known, the Ombudsman said in her report. "Given their age and the fact that these documents contained no information not already in the public domain, the Ombudsman saw no reason why they could not be disclosed," the report said. Government departments will now be required to release information on the internal workings of Whitehall, including minutes of meetings of top civil servants. Ministers say they will repeal or amend up to 100 items of legislation which are currently prohibited from disclosure. 1. Suffolk Constabulary Command and Control incident log serial number 10E1 26/12/80/0411. 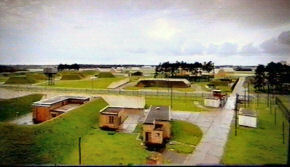 Report from USAF Law Enforcement Desk, RAF Bentwaters of unusual lights in the sky beyond East Gate to RAF Woodbridge. 2. Suffolk Constabulary Command and Control incident log serial number 31A4 26/12/80/1030. Report from USAF Law Enforcement Desk, RAF Bentwaters of an alleged craft landing site, two miles east of the East Gate of RAF Bentwaters. 3. Copy of Suffolk Constabulary letter dated 23 November 1983 to an enquirer. 4. Copy of Suffolk Constabulary letter dated 27 October 1988 to an enquirer. 5. Copy of Suffolk Constabulary letter dated 28 July 1999 to an enquirer. To view these documents you will need Adobe Acrobat Reader... Click the link to download if you do not have a version installed on your PC.